Longitudinal view of a curved extrusome (called cytocysts by Wessenberg and Antipa, 1968) in the proter of a dividing cell. Extrusomes of Didinium typically have a bundle of myelin-like membrane material enclosed by their surrounding membrane. This may be stored membrane needed for extrusome discharge. 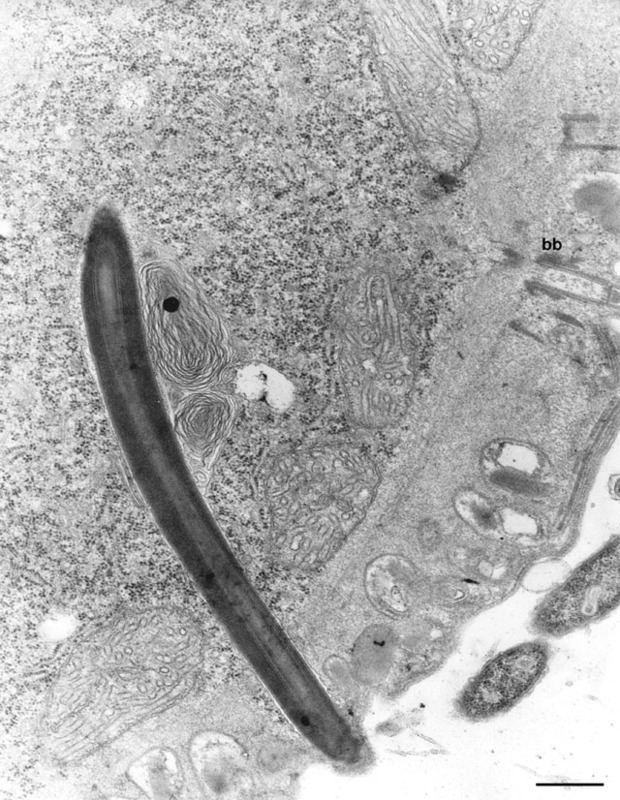 A basal body/cilium complex (bb) of the aboral ciliary band lies nearby. EM taken on 5/20/69 by R. Allen with Philips 300 TEM. Neg. 14,800X. Bar = 0.5µm.